It was Labor Day 2005 when Richard and Sue Daniels from Waynesboro, Burke County, GA set off on a camping trip to Modoc, SC, in their RV. Little did they know they would meet a friend for life in the form of an old black dog. When Richard and Sue first met Old Fella, he was a stray roaming around for scraps of food at their campsite. 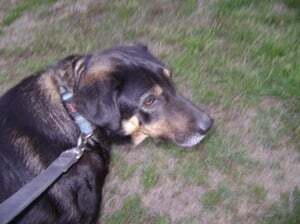 Ultimately, Old Fella came to live with Richard and Sue who were inspired by their newfound companion to bring together the animal lovers of Burke County, forming Old Fella Burke County Animal Rescue in late 2006. Hundreds of dogs have been saved in his name. Thank you, Old Fella. 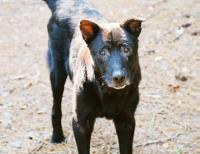 Old Fella Burke County Animal Rescue exists to improve the quality of life of forsaken companion animals by giving them medical care, food, water, shelter, and love via a foster home network and through adoption and transport efforts to find suitable forever homes. We strive to reduce the number of homeless companion animals in Burke County by providing spay and neuter surgeries and by raising community awareness about responsible pet ownership through humane education to elementary school children. The prevention of animal cruelty is central to all we do. Most of our rescues are phoned in by Burke County residents. Burke County, like so many other rural counties in Georgia, has no animal control. Therefore, when a resident discovers an animal in need, Old Fella is a primary resource to help. We regularly receive calls about litters of puppies abandoned at one of the hundreds of dumpster sites scattered throughout our 800+ square mile county. 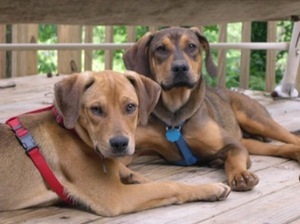 Once an animal is taken into the Old Fella program, he or she will go to live with a foster family. Old Fella does not have a shelter facility and therefore relies exclusively on our network of volunteer foster families. Our animals are then moved to forever homes either through local adoptions or transports to areas of greater population density. Sarge has a story like no other. In his lifetime, he has risen from the depths of tragic poverty to the heights of luxury. In August 2008, Burke County authorities discovered one of the worst cases of child neglect on county record: 11 children living in unfit conditions with no running water, no electricity and little food. Old Fella was called in to assist with the family’s pets. Sarge was the family dog. He would not cooperate with deputies and at first, he would not even cooperate with Old Fella volunteers. But we didn’t give up on Sarge. In fact, our youngest volunteer, an eight year old named Carli, was the key to finally winning the trust of Sarge. And once that trust was established, Sarge came willingly. He missed his family and they loved him. All eleven of those children loved him very much. But the tragedy of the circumstance prevented Sarge from staying with his first family. Standing witness to that love, the dedicated Old Fella volunteers that worked to capture Sarge and then his foster mom of ten months, Kathy Perry, did not let him down. They nursed him to health and he thrived. On May 1, 2009, Sarge was among the lucky Old Fella rescues transported to Salem, Massachusetts for a second chance with a second family. And that is when he met Margi, his new mom in Massachusetts. Searge now lives in a large house on the ocean and has an acre of yard to romp and play with his two brothers and sisters, little Pugs Ollie & Annie. Read an update from Sarge’s new mom, Margi!